Get comfortable, guys. We’re back with another high-brow look at the world of Culture. And no, for the purposes of this list, Netflix doesn’t count. Keep reading if you want the latest on al things performance, theatre, galleries and nouveau meta-art installations, Snoopy Museums, terrifying pig-babies and thousands of lanterns filling the night sky. Here’s our Culture Edit for March 2018. Every March, Sydney galleries throw open their doors for Art Month—a huge series of exhibitions, workshops and studio tours that engulf the harbour city. Seriously, you can’t swing a paintbrush without walking into an argument over existential cubism (don’t get us started). There’s a stack of great shows (check the program for all the deets), but personally we’re signing up for the nocturnal visit to the Elliott Eyes Collection. They’re calling it ‘part game show, part freewheeling disco party’, and it’s taking over the Sydney Opera House this month. Direct from sell-out shows in LA, London’s queen of cabaret, Amy Saunders (La Soiree, La Clique, Absinthe) is crashing the party with Miss Behave. An interactive and satirical night of fun and mischievous games. Your guess is as good as ours. 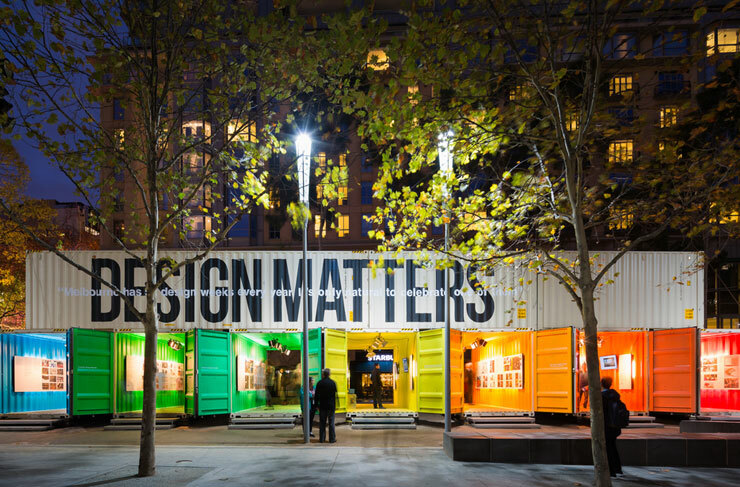 Melbourne Design Week is back for another year, and the line-up is looking pretty sweet. Expect big international names like Marcus Fairs (Editor-in-chief of Dezeen), and Kongjian Yu (founder of acclaimed Chinese landscape firm Turenscape). Local designers will also be showing their stuff, with exclusive exhibitions, workshops, speeches and our favourite—The Art Book Fair. Check the site for the full schedule. In typical, indie Brunswick fashion, the artist-run space of Blak Dot Gallery is featuring the works of Kirsten Lyttle. Her solo exhibition, Keteparaha: Toolkit, rejoices the irreverence, adaptability and practicality of wahine (female) Māori. The exhibition is open from Thursday 22 March–Sunday 6 April, and is guaranteed to knock your socks off—that is if you’re wearing any over there in hippy Brunswick. It’s a busy month at the NGV. This March they’re also running Top Arts, the yearly VCE arts exhibition where you can scout Melbourne’s next-Gen geniuses. Top Arts will be running on the ground floor, in the NGV design studio, till 15 July. Expect illustration, painting, printmaking, sculpture, and ‘mixed media’ installations that make you wonder what happened to traditional school curriculums. Sydney and Melbourne have had their turn, and now it’s Perth’s chance to check out the Alliance French Film Festival, which kicks off on 14 March. Remember how we said Netflix didn’t count as culture? Well French films definitely do, if only because there’s a 60% chance you won’t understand what’s going on (that’s how you know it’s really cultural). Top picks from this year’s festival include Double Lover, The Workshop and Redoubtable. If you notice some weird stuff on the beach at Cottesloe this month, this is why. 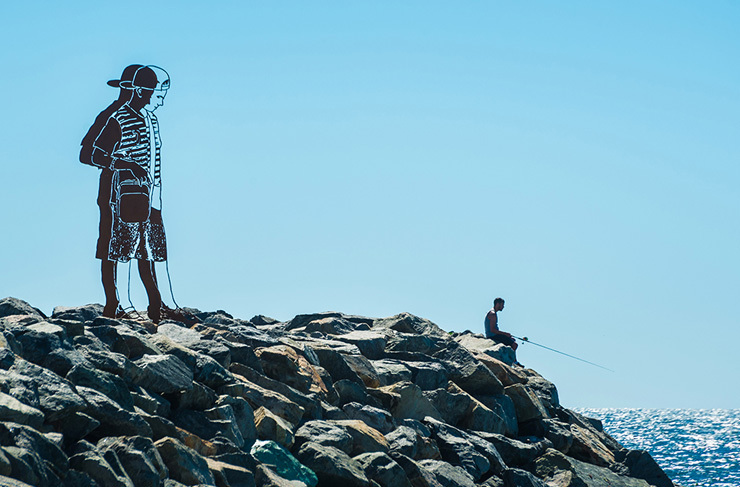 It’s the 14th annual Sculptures By The Sea exhibition, and it’s running from 2 – 19 March. This year there’s a swag of talented local and international artists, including Lucy Barker, Kayoka Nakashima, Olga Cironis and Mila Poblete. It’s hard to prep you for what to expect—previous years have seen everything from a carved tree to 20ft horses iron horses charging over the dunes. Our favourite acronym QAGOMA is back with another killer exhibition this month. It’s called Me, My Selfie & I, a navel-gazing look at the phenomenon of self-portraits in the digital age. It’ll feature video installations by Takahiko Iimura, Phil Dadson, Miloš Tomić, plus a series of digital prints by Gordon Bennett. Take heaps of selfies if you want to get really ironic about it. On your way to Me, My Selfie & I, you’re probably gonna notice the work of international megastar Patricia Piccinini, which is occupying GOMA’s entire ground floor till 5 August this year. It’s called Curious Affection—a collection of freakishly lifelike sculptures that have a certain ‘car-crash’ feel. Just check out the ‘pig baby’—you don’t want to look, but you can’t look away either. Creepy stuff. Buckle up, Auckland, the annual Arts Festival is kicking off today. Fun fact: Auckland was the first city in the Asia-Pacific region to host a large-scale arts festival, and this thing has been running in its current guise since 2003. This year there’s a tonne of events on the cards (many of them FREE). Our pick? Check out Pop in the CBD—a collection of pop-up installations in the CBD. Think interactive marble runs or multi-sensory ping pong. LEGO addicts, you’ll like this one. Auckland Museum is hosting a huge interactive exhibit made entirely from LEGO blocks. There’s gonna be the Empire State Building (in LEGO), Big Ben (in LEGO), King Kong (in LEGO. You get it—lots and lots of amazing LEGO things. It’s all the work of Ryan ‘The Brickman’ McNaught, literally the only LEGO-certified professional in the Southern Hemisphere. Brickman kicks off on March 30. Be there or be square. 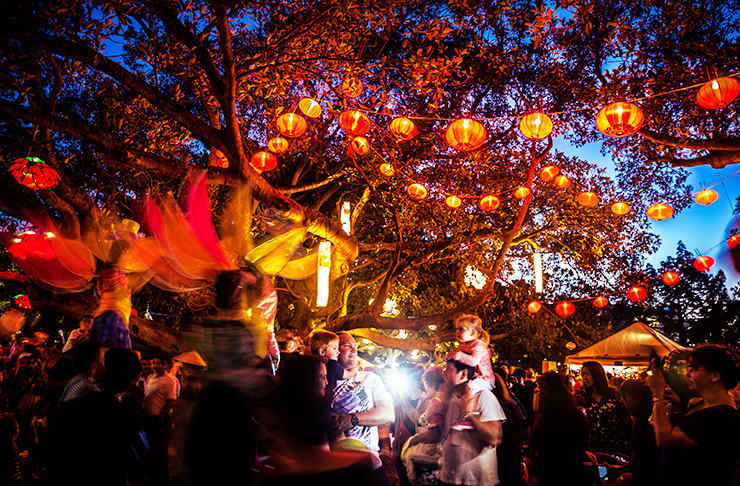 Get ready for four days of well-illuminated fun, because the Auckland Lantern Festival is running from 1 – 4 March. There’s going to be 100+ street stalls slinging all sorts of sizzling goodness, plus live music, martial arts displays and (of course) hundreds and hundreds of Chinese paper lanterns. It’s all happening at the Auckland Domain. Go and get lit. Manifesto is a gripping, 12-screen film installation from German artist and filmmaker Julian Rosefeldt. It’s looking at artist manifestos throughout the ages and breaking down what an artist’s job actually IS. Aussie legend Cate Blanchett will inhabit 13 different personas to create a ‘manifesto of manifestos’ (pre-recorded, obvs), drawing on the writing of Futurists, Dadaists, Suprematists and other groups ending in –ist. If you find yourself in the Windy City this month, here’s a neat little exhibition to check out. It’s called Unthought Environments, a collection of elemental photos and prints themed around earth, air, fire and water. Feat. artists like Daniel Baird, Robin Watkins and Florian Germann, Unthought it delving into everything from water shortages to strip mining. Check it out at The Renaissance Society on Ellis Ave.
An entire exhibition for a single painting? Only in Paris...Of course it helps when that painting is Picasso’s seminal Guernica, created 81 years ago and widely considered one of the master’s finest pieces. Musée national Picasso-Paris is throwing a special Guernica exhibition from 27 March to 29 July this year to honour the great work. There’ll be never-before-seen sketches on loan from Museo Nacional Centro de Arte Reine Sofia, and of course, the great canvas itself. From Picasso to Snoopy (we never said Culture had to be ALL high-brow). 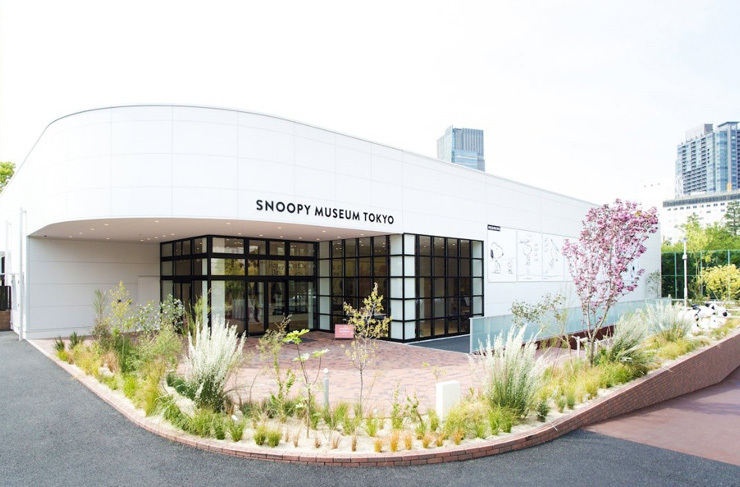 The Snoopy Museum is a temporary installation in Tokyo’s Roppongi District that pays homage to Charles M. Schulz, the creator of the Peanuts comics. The exhibitions change every six months or so, and the current one (‘Love Is Wonderful’) is due to last until 8 April this year. Go check out 80 original comic strips and original animations from Peanuts love-themed episodes.